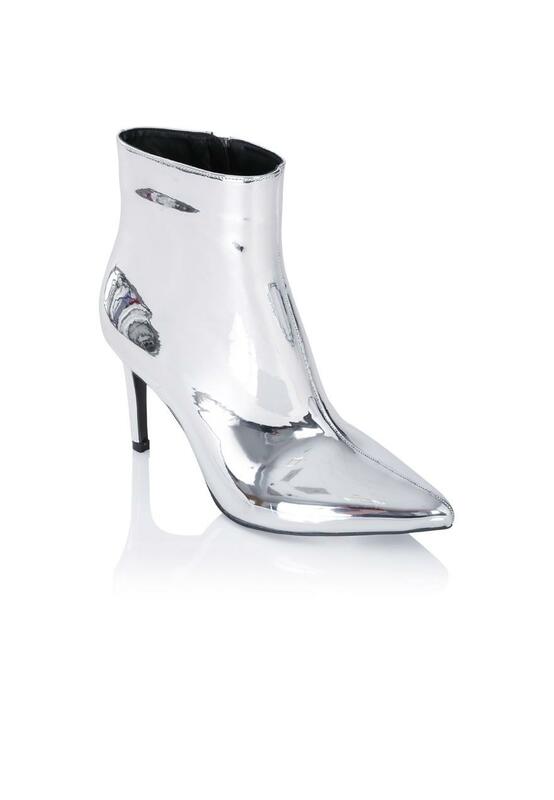 Update your footwear collection with these statement ankle boots. 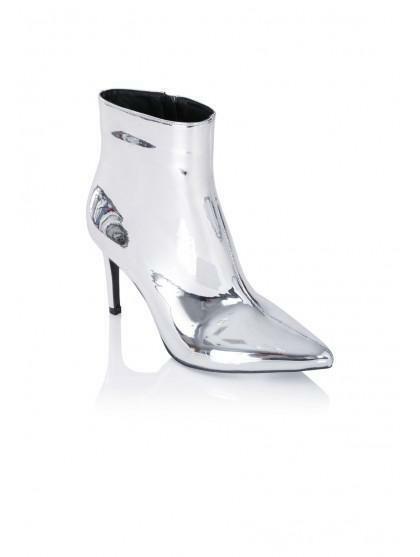 In a mirrored material with a zip opening, pointed toe and stiletto heel, they're a stylish option for parties! Love the boots. So unusual.